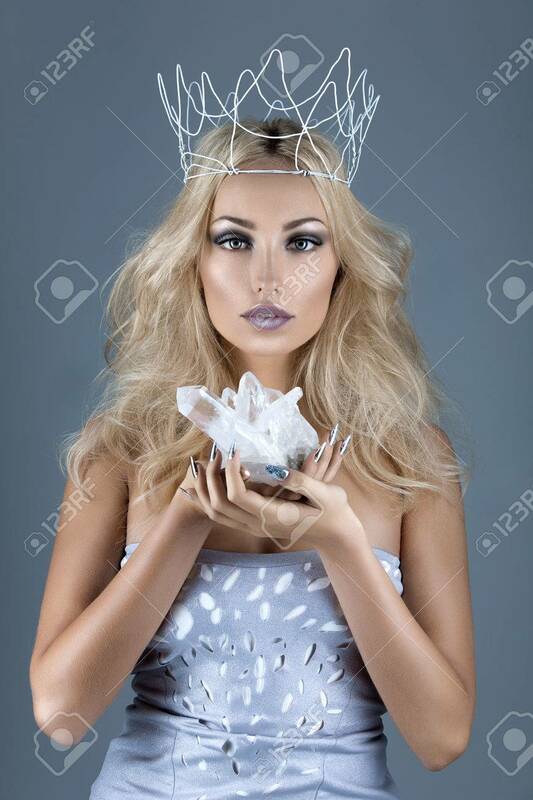 Beautiful Young Woman In Crown Holding Crystal Stone. Copy Space. Stock Photo, Picture And Royalty Free Image. Image 56088447.